Designing cohesive brands and websites for creative entrepreneurs is one of my main focuses within Elle & Company. But as much as I stress the importance of a distinct, streamlined visual brand, I also understand the enormous benefits that can be reaped through building your own personal brand. You've probably heard the term "personal branding" before, and it's one of those terms that's used frequently but isn't often defined. Personal branding is the process of establishing your expertise within your field. A strong personal brand helps develop credibility in your industry and helps others see your strengths apart from your business. In a sense, your personal brand is similar to your reputation. I've learned that, like most things, personal branding is easier in theory than in practice. So today I'm sharing 4 simple ways that will help you establish a strong personal brand. 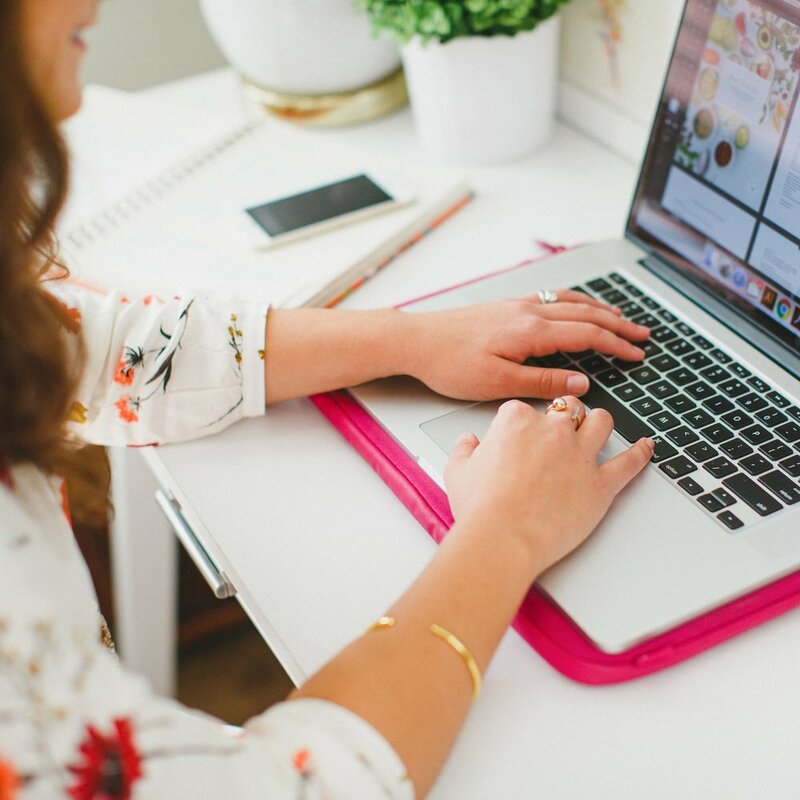 I consistently post about the benefits of blogging, but the Elle & Company blog has been the single most important aspect of establishing my own personal brand and building a relationship with my followers. I've seen firsthand the direct correlation between the quality of content I share and the way that my readers and followers perceive me. If you take your blog and business seriously and spend time creating beneficial content, your readers will begin taking your advice and expertise more seriously. 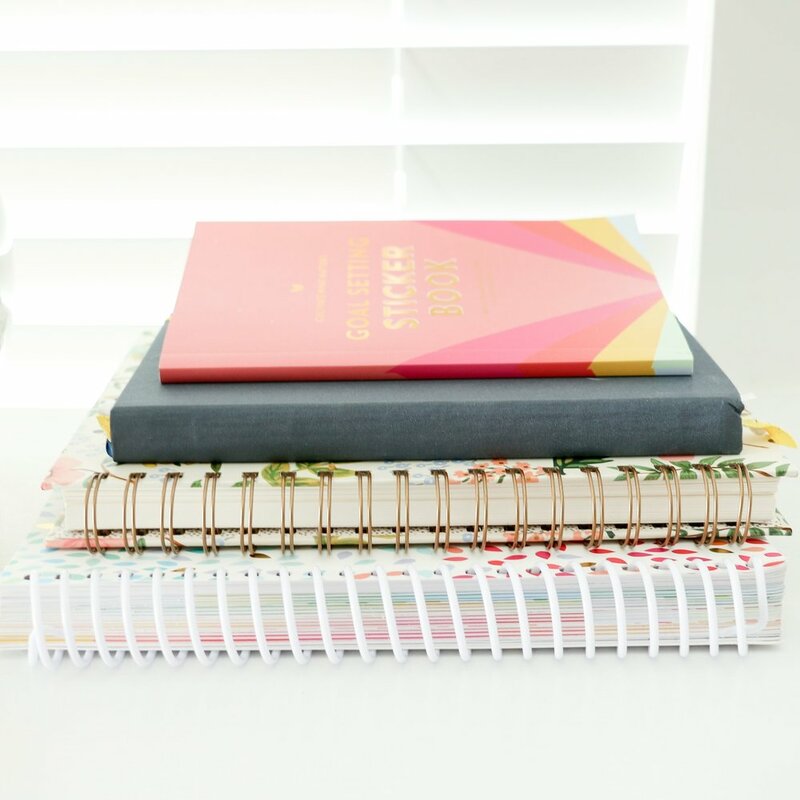 For example, previous Elle & Company articles like The Do's and Don'ts of Logo Design and How to Create a Clean and Cohesive Inspiration Board help validate my credentials in graphic design in the minds of my readers. They also help potential clients develop trust in my design expertise. This is fundamental to booking clients and maintaining an expert role for the future of my business and my career. By consistently posting on topics I know well, I'm establishing trust with my readers and laying the foundation for my personal brand. This quote by Zig Ziglar has been on my mind recently, especially in thinking about my own personal brand. "If people like you they will listen to you, but if they trust you they'll do business with you." Blogging is a wonderful way to build trust with your audience, gain credibility, and showcase your strengths within your industry. Just as blogging quality content develops your authority within a specific field, so does the quality of your social media posts. And although there may be others in your field who offer the same services as you do, they don't have your unique perspective; that distinct, one-of-a-kind point of view makes you more appealing to future customers. Social media provides a platform for your unique voice to stand out, and believe it or not, this doesn't require groundbreaking tweets every day. You can even develop your personal brand by pointing your followers to articles you found helpful and still position yourself as a valuable resource. I would encourage you to get creative and become intentional with everything you're sharing on social media to build your personal brand and differentiate it from the rest. Measure each post against your mission statement and the goals you have for your business. When others think of me within my industry, I want my personal brand to reflect my experience and expertise in the areas of design, blogging, and business. So on social media, I take that into account and work toward that goal by sharing relevant, beneficial content about those categories. You can also build your personal brand through networking. The way you are perceived among industry leaders will influence the way outside business owners and potential clients perceive you. Are you willing to go out of your way to share your expertise? Do you operate in a professional manner? The answers to these questions play a large role in what your personal brand looks like and how you're perceived by your network. Word of mouth is one of the best referrals; and by maintaining a strong network you can leverage those relationships into new clients, a new job, etc. If you consistently create quality results, people will be much more likely to introduce you to others, and demonstrates their trust in you which elevates your expertise even more. A body of work versus a resume is the difference between showing and telling. If you're able to show individuals your work, they will be more convinced of its quality and the skill that it took to create it. Conversely, if you give someone a resume, you're asking them to take your word for it that your work is quality. So many human resource departments have taken on fancy interview tactics in an effort to weed out those who truly know that they're talking about or if you're a hard worker. By establishing your personal brand, you're able to reference previous work and demonstrate your expertise. Essentially, your personal brand is both a safety net and your reputation. If you consistently deliver over your blog, social media, client experience, and portfolio, you will prove your worth and build trust with your audience. How have you established a strong personal brand?